Our 1st annual college care package goal has successfully been completed. The whole idea was surrounded around sending a bit of love from the Sinaitic family to our college students that are not able to be with us often due to school. As you may know, college can be rough with all of the school work and responsibilities. And if you’re the typical college student you may also be challenged in the extra spending money area so there’s nothing like receiving a care package full of goodies sent with love. 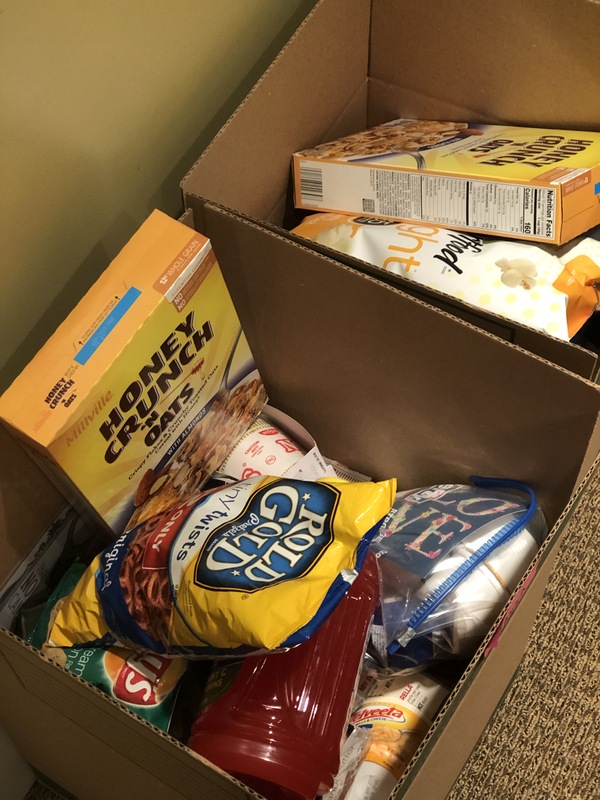 This year we prepared 7 care packages and they had school supplies, toiletries, a gift card, positive knick knacks, a t-shirt and tons of non-perishable food and snacks! I’m so excited by the amount of participation – the boxes overflowed! How awesome is that?? Pictures don’t do the boxes justice but take a peek! *Individuals pictured are Lashyra picking up her box, Bro. Uphaz picking up the box for his son Kameron and Bro. Kuliyah picking up the boxes for Ayanna and Terrance. Yah willing, we hope to repeat the same initiative next year. Thank you for all those that participated. Awesome Job Robin! The boxes were so plentiful with such yummy items! Thanks for thinking of the children. On to the next project!